The holiday season is the time when the craftiest among us demonstrate their skills and creativity. Perhaps you feel you don’t have the time to pull off a Christmas miracle, but my top five holiday hacks are quick and easy ways to help your family feel the magic. Many of us will be delivering cookies to friends, family, and coworkers. Rather than a boring paper plate covered with Saran Wrap, make an impression with your own custom-made cookie box! 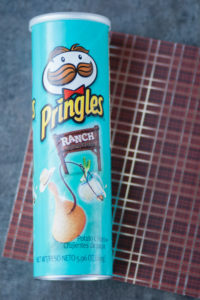 We’re going to use a Pringles can for our project and a few scraps from our present wrapping. 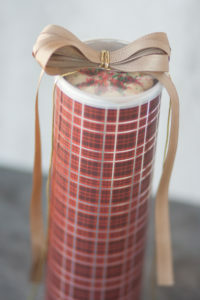 Using double-sided tape and a dab of glue, we adhered the paper to the can and simply added a bow. Our cookies were carefully crafted for an optimal fit in the container. 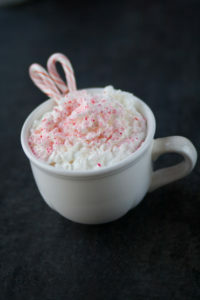 Santa’s eyes and ears are the little elves that find their way into our homes during the month of December. Every morning, children catch them in their final poses from their mischief of the previous night. 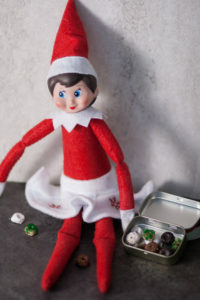 Some elf-sized snacks are a great way to make an impression with the young ones, who can share in these holiday treats with their little buddy. We’re going to be making our elf Chloe a box of donuts! 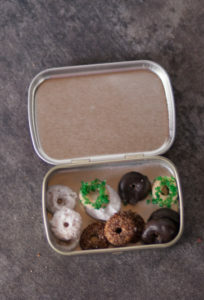 Use Cheerios dipped or rolled in various toppings around your house to make your donuts, as well as a small tin or box that can hold them. We used powdered sugar, cinnamon sugar, sprinkles, and a small amount of chocolate. An old mint tin works great, too! 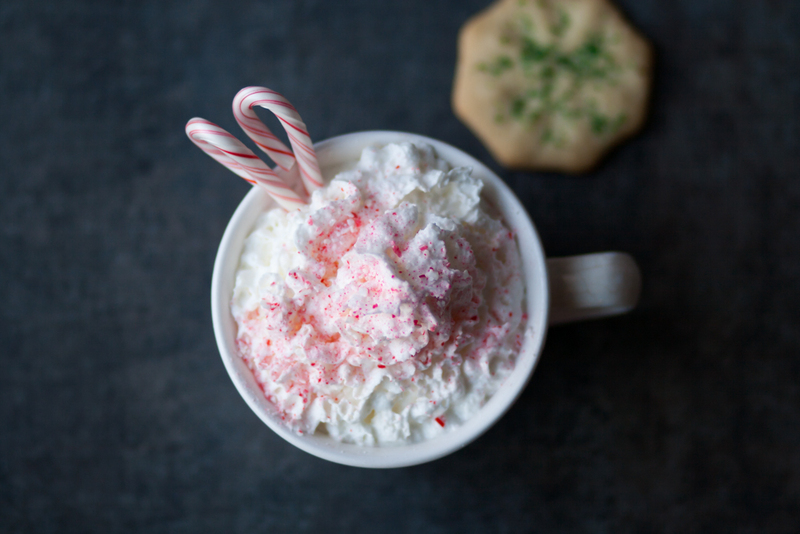 You can be prepared for any food-related opportunity that comes along with this holiday hack. 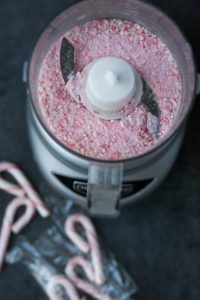 Crush up some candy canes in a blender into a fine powder and store in a jar. Whether it’s ice cream, coffee, or toppings for Rice Krispie Treats, guests will be impressed at your forethought. 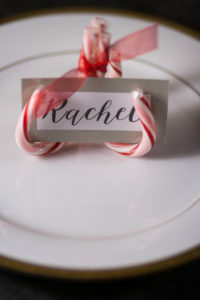 Don’t use all of your candy canes for the previous hack, because these place card holders are so adorable you will want to use them everywhere. 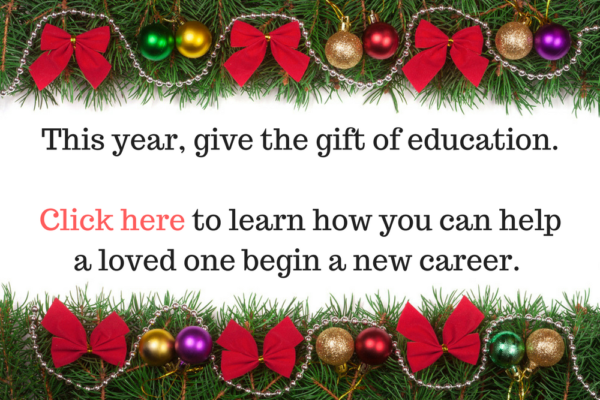 Hold the candy canes in place with a rubber band while you do your work. 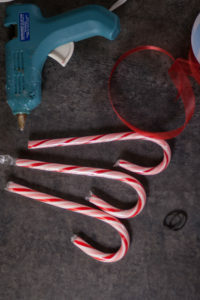 A dab of hot glue works great to hold the candy canes together. I put a ribbon around mine for a little flair. Pretty soon we’re going to have to put all of this stuff away. The most troublesome area is always the string of Christmas lights, so I use this method from wikiHow to stay organized. 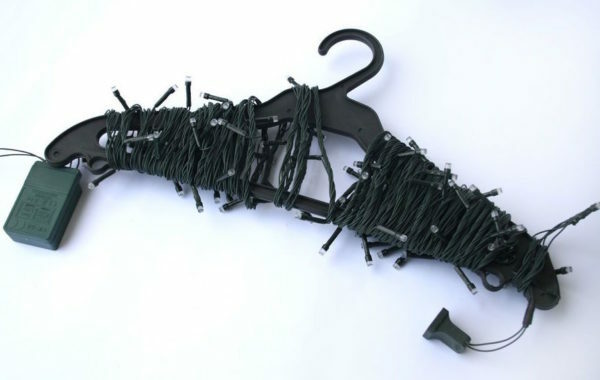 Wrap your lights around a heavy-duty hanger, securing the ends with tape or a rubber band.